Maurizo is a 20 year veteran of the information technology industry and has been involved in innovative technology for more than 20 years. He will be responsible for executing on the company’s strategic goals and driving CloudWALL Italia’s business development initiatives. He brings a wealth of experience in the information technology industry along with extensive management and entrepreneurial expertise. His job at CloudWALL will particularly focus on increasing enterprise adoption of CloudWALL Italia services and growing channel partners in EMEA. Alberto is Founder and CEO of CloudWALL Italia. He is the visionary mind behind the CloudWALL Italia innovative approach and driving force selecting key technology partners to make the CloudWALL Italia's offering portfolio more complete and exhaustive through a day by day testing and evaluaing activities of cloud-based security providers around the world. 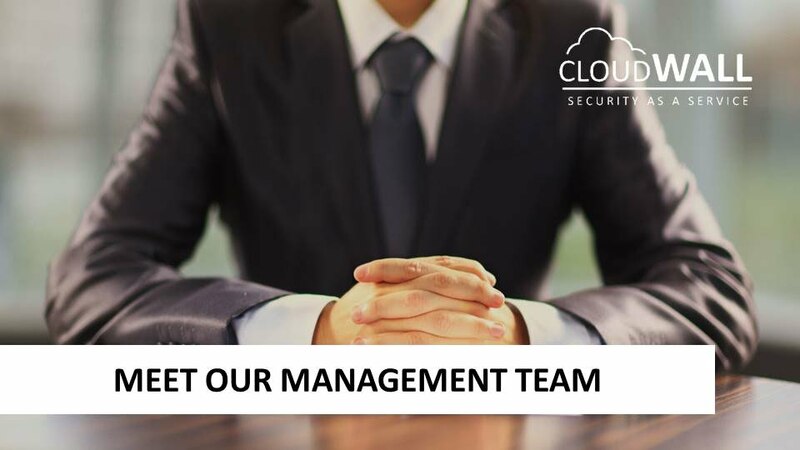 A recognized leader in the IT security space, Alberto also has a 15 years experience as a Business Manager within the most relevant system integration companies working in the italian security field. Cristina joined CloudWALL Italia to supply us with her long term experience as a Freelance consultant in communication and web design. Working with a fully cloud-oriented approach, she fully meets the core approach at CloudWALL Italia by undestanding key advanges and differentiations of our offerings. She actually has in charge the full communication process of CloudWALL Italia, including design and maintaining of company website as well as managing social media operations on most common social networks.